The first electronic keyfob protection in the world. Our goal was to create a protection system that will protect your car from “relay attack” car thefts. Keeping all the advantages of the key-less system. Do you have a car with a keyless entry system ? Take a look, how quickly you can lose it. As you can see from the video above how easy it is to loose your vehicle. Applies to cars equipped with smart keys. The theft requires a minimum of two thieves with two cases / folders that act as a scanner / amplifier and data receiver / transmitter. 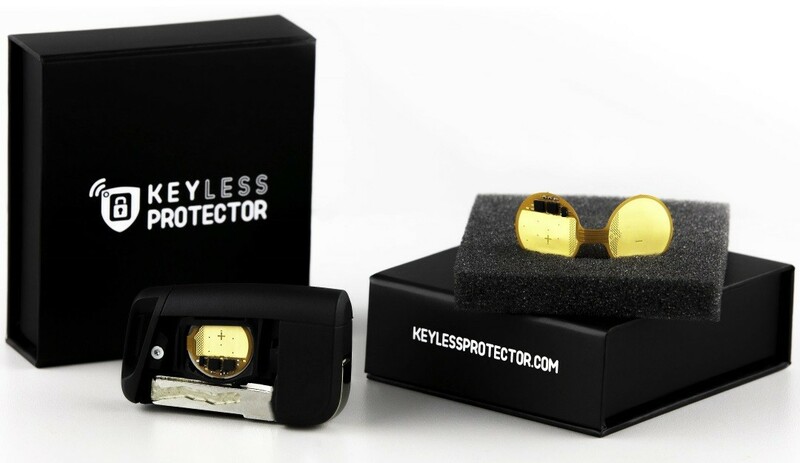 The Keyless Protector works as follows. Automatically secures the keyfob, when you leave the car. As a result, the key signal will not be intercepted. Double tap the keyfob that is in the pocket of your pants or bag to open the door and start the engine. How does it work? How do I fit it to my fob? It has the form of a clip, which easily and quickly can be put on the keyfob battery without interfering with the car’s electrical system.